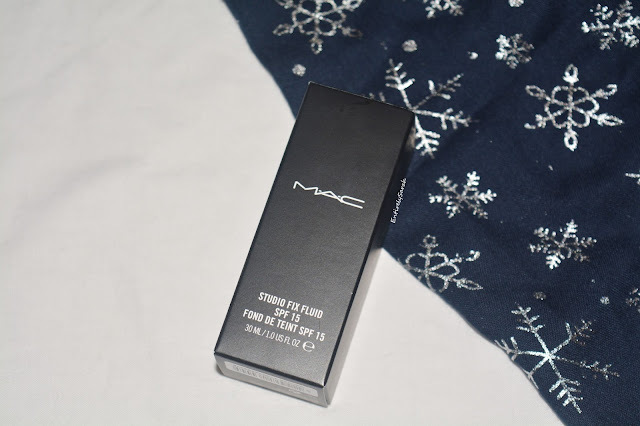 I have seen so much about MAC make up from the minute I got absorbed into the whole YouTube and blogging community and while I have bought things from MAC, the amount of reviews make it easy to streamline what I want and really see how much I want to try something before I go to buy it. I have put off getting some of these products for a while, but I decided it was time to try a foundation and see how I got on. I went for the Studio fix fluid as I got it on offer and they had my shade in this particular one, so lets see how I got on. The foundation comes in a box which is a sure sign it is on the pricier side of the spectrum. The sleek black box with white writing is really simple and effective and I love the simplicity of the brand. Inside, the glass bottle is very sturdy and has a solid, heavy feel to it. The matte black lid gives it a lovely finish which matches the black printed on text which tells you all about the product. The only problem I find with the packaging is that it has a screw on lid, where I would much prefer a pump to use with the foundation, but you can pick these up from the MAC site, or there are loads on eBay or Amazon. 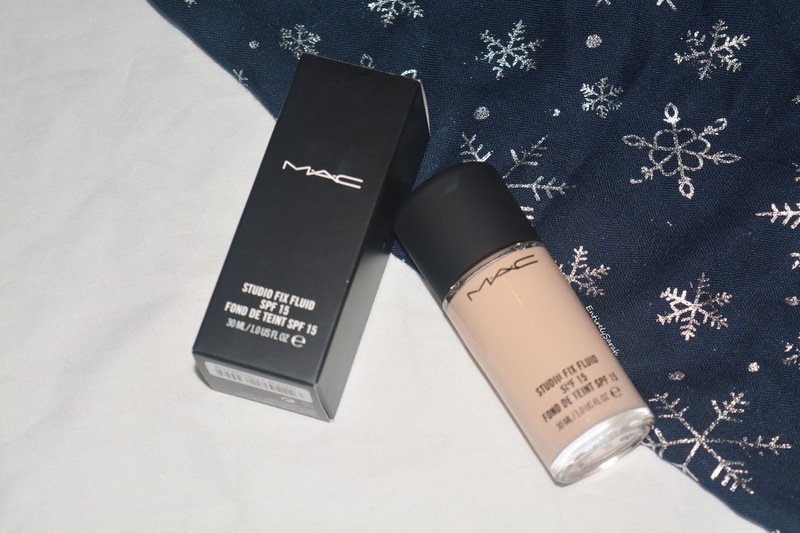 The shade itself is a really lovely match for me, and while you would need to get colour matched and get your shade, I think it is lovely and I am happy with how pale it is for the palest shade. The formula is quite thick to pour out, but I am definitely investing in a pump for this as I definitely think it needs one, it has a nice consistency and I feel the slightly thicker feel of it helps it to work on the skin to be fuller coverage, but it doesn't feel heavy. I found that the foundation wore well with and without a primer, and I showed the first impressions in a video on my channel here, however after testing it more and using different primers on my oily nose area, I noticed the product stayed on better on my nose and lasted well through the day. I found this really comfortable to wear and overall it gave good coverage, and looked really good on the skin too. I found it lasted well and showed minimal signs of wear once I was able to see what areas needed a little help, such as my nose, with a primer acting to counteract my problem area under the foundation. I have been using this regularly to really test it out and while I wouldn't say it is my all time favourite foundation that I have used, it is definitely one that I am loving using and I enjoy reaching for. I think, because I haven't tried a lot of higher end foundations to compare it to, I can't say if this is the best one to get, but I can say it is definitely one I will keep reaching for to use a lot. This being said, it is closely rivalled by my all time favourite Revlon colour stay which is a cheaper drugstore alternative, although they do not perform exactly the same and so I would need to face them off directly to see if I do prefer one properly over the other. At £23.50, here, for 30ml I think it is a mid range price for some of the higher end foundations on the market, and while I want to invest money into testing out other foundations before I commit to long term purchasing one brand or type I think it is a reasonable price if you enjoy it and find it works well on your skin as I do.